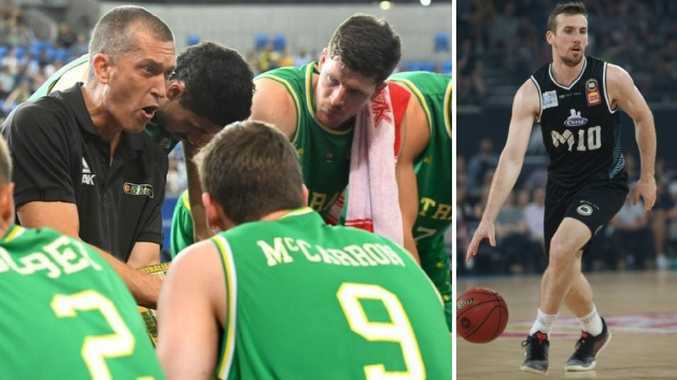 Mitch McCarron played for the Boomers under Andrej Lemanis earlier this week, but is now plotting his downfall as Melbourne United take on the Brisbane Bullets. Tomorrow night, Mitch McCarron, David Barlow and Craig Moller will try to topple their national team coach - and Boomers teammates Cam Gliddon, Jason Cadee and Matt Hodgson - as United try to make it five wins on the bounce when they face the Bullets in the first of two clashes between the clubs this round. 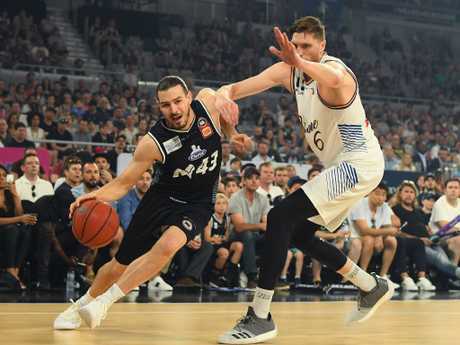 But, if he has any inside information from mentoring the trio - and fellow Boomers' member Chris Goulding - during the FIBA World Cup qualifiers, Lemanis isn't letting on. "I don't think that's necessarily a massive advantage or makes a massive difference when you're coming into the game, particularly with guys who have been in the league for a long time like that," the Bullets coach said. "What you get in the national team environment is just a better understanding of their personality, how they deal with highs and lows … how they are around the group. "But in terms of on-court performance you normally get what you see in the NBL, because that's why they're selected (in the national team) in the first place." 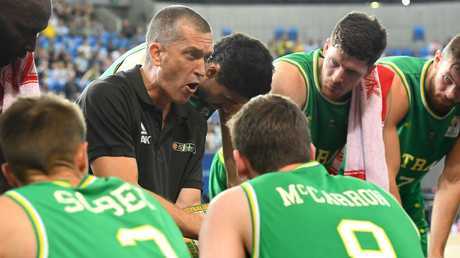 McCarron, who started in big wins over Iran and Qatar that cemented the Boomers' 2019 World Cup qualification over the weekend, says United is prepared for Lemanis' defensive "mind game". "Andrejs a great coach, I've got a lot of respect for him and that staff and they've got some really smart players who have played in that kind of system for a very long time," McCarron, who was recruited by the Bullets before ultimately choosing United, said. "I've got a good relationship with Drej, I've got a lot of respect for him as a coach and I like competing against him because you always know that something different is going to come your way defensively." "We had a target last time to try and defend the three-point line - they knocked that over by halftime, made 15 threes and you don't lose many games in this league when you make 15 threes," Vickerman said. "We're not satisfied with the way that we guarded the three-point line so there's been a big focus this week on how we defend that and make sure that we restrict them to more two-point shots than three-point shots." 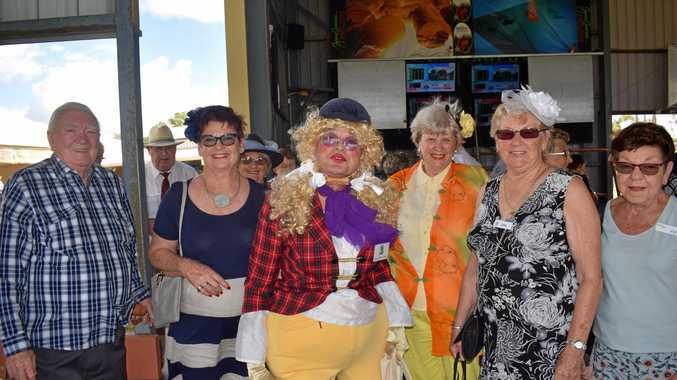 "He's really come through the break well," Vickerman said. "He worked really well on the court, but the gym work and the strengthening that he's done on his knee right now is coming through. "He's still got some room to go, but I think you'll see a much better second half of the year from him." The Bullets will go into the game with only one import - Lamar Patterson - after sacking Alonzo Gee earlier this year and releasing Stephen Holt last week. "We'll take our time, it's important that we get the right player, not just a player," he said. "We're looking for someone to help us in the one spot. Jason's (Caddee) done a fantastic job there, but he's trying to carry a pretty significant load and so we want someone who can help. "We're really confident with the talent that we have in the group already and we feel that adding the right piece can really set us up for a great season."